Soak the dals in water for about 15 mins. Put them in pressure cooker along with water,spices, chopped chillies and tomato & give 4-5 whistles. Put jeera, pepper & cloves. Put Garlic and fry till golden brown. Pour the dal into it and boil for about 2 mins. Tastes best with steam rice / jeera rice. Mr Shah, all the spices have to be put while pressure cooking the dals. Good recipe but I think you forgot to mention when to add turmeric, red chille powder and sugar. 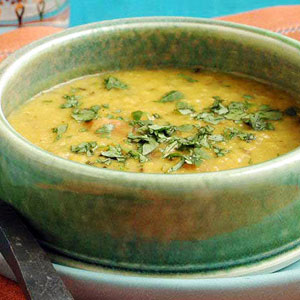 this dal lasuni turned out to be fantabulous! very very tasty and delicious.